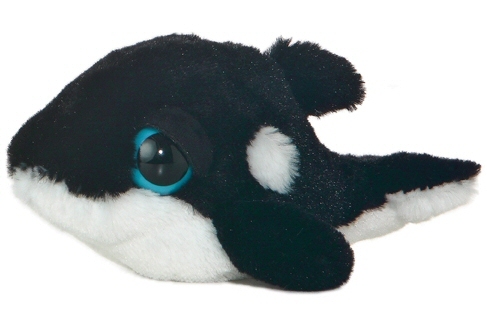 I'm Shamus, an adorable stuffed whale from the Dreamy Eyes collection. I will make a fabulous addition to your family because not only am I'm cute and cuddly, I promise not to make a watery mess in your house... not even in your bathroom. I really am a wonderful plush whale! I have soft black fur, white tummy and accents, fun fins, and big, sleepy blue eyes. Just one look at my sweet face and one squeeze of my huggable little body, and you'll know you've found a friend for life in me... a delightful plush whale. Barker, this Dreamy Eyes stuffed seal, is ready for hours of fun and adventure along with lots of cuddling and snuggling.